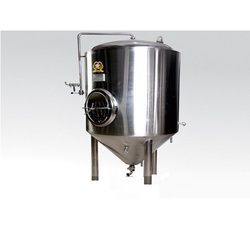 Our range of products include stainless steel tank, stainless steel storage tank, ss tank and fermentation tank. Canada Pure, a leading water technology solutions provider and manufacturer of mineral water packing equipments, has launched stainless steel SS water tanks for industrial and residential markets under the name of Canada Pure. We are leading water technology solutions provider and manufacturer of mineral water packing equipments, has launched stainless steel SS water tanks for industrial and residential markets under the name of CANADA PURE. Stainless Steel Tanks, We offer a customized range of industrial process equipments to our valued clients. 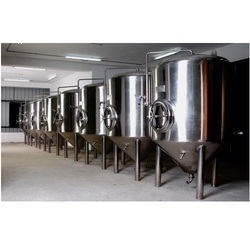 Stainless Steel Tanks is made of premium quality stainless steel and offers a variety of industrial applications. We design and develop these tanks according to user defined specifications. Our tanks are highly resistant to water, heat and chemicals. We design and install these tanks at industry leading prices. SS Tanks We have come up with an extensive range of SS Tanks which is easy to use. For pouring powder and liquid, these hoppers are used. 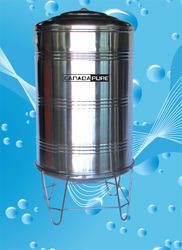 Our hoppers are provided to the customer in variety of sizes. 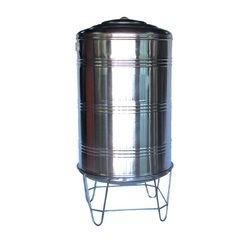 Manufactured using stainless steel, these TANK are extremely durable and corrosion resistant. We also offer these TANK to the clients at industry leading prices. Comes with in built Heating filament with Temperature control (Optional). Special grade high nickel to avoid corrosion. SS 304 and 316 used. Ribbed for high strength and longevity. Comes with inbuilt tank stand. Reduces risk of water borne diseases. Stainless steel storage tanks are used in the medical industry as well as for industrial chemical processing, film processing, food storage and preparation and fuel storage, among other things. Non-stainless steel and alloy tanks are suitable for many of the same applications, but stainless steel tanks are more corrosion resistant. 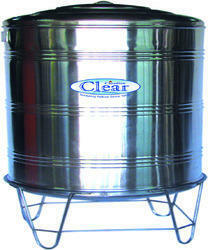 A stainless steel tank also tends to be easier to clean and will not absorb odor. Fermentation is one of the key parts of brewing. Therefore, it is good to know that Speidel's fermentation tanks are unique. It doesn't matter whether they are made of synthetical material or stainless steel, with pressure or without, cylindrical, conical or oval .